An inspiring intellectual community that brings together students and faculty, the Honors Program complements the superior undergraduate education available at Western Washington University. 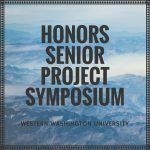 The WWU Honors Program is a community of students and faculty who actively seek to challenge themselves and each other. Honors here is not more work, it’s different work. WWU Honors students have access to small classes taught by award-winning professors that emphasize discussion and writing. 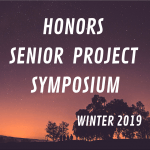 The Honors Program curriculum, compatible with any major at WWU, consists of a First-Year Sequence, Lower Division Colloquia, Upper Division Seminars, and a capstone Senior Project. These classes are not extra — they allow students to complete General Education requirements in an Honors setting (intimate and intellectual). The Honors housing option in historic Edens Hall provides a vibrant atmosphere for first and second year Honors students. The value of participating in Honors through a public university is hard to quantify, but comparing our tuition to that of private colleges is easy. To better understand the benefits, we recommend that you look at Frank Bruni’s New York Times article A Prudent College Path. 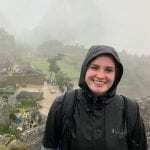 Connecting on campus is a great way to learn more about community and involvement opportunities at WWU and the Honors Program. Visit us in Bellingham to learn more about involvement with the Honors community, including meeting with current Honors students and staff, visiting an Honors class, touring Edens (the Honors residence hall), and eating lunch in the dining hall. Email Kiersten Horton at Kiersten.Horton@wwu.edu to schedule your visit today!